How well has the original Yakuza held up? This was a PlayStation 2 game, after all, and as great as that console was, and many of its games still are, it was also a time where developers will still learning about crafting stories and working with 3D worlds. While Yakuza Kiwami promised to be a comprehensive remake of the original game, rather than just a HD remaster, there’s one thing that was set in stone from the outset, and that was the narrative. That concerned me. 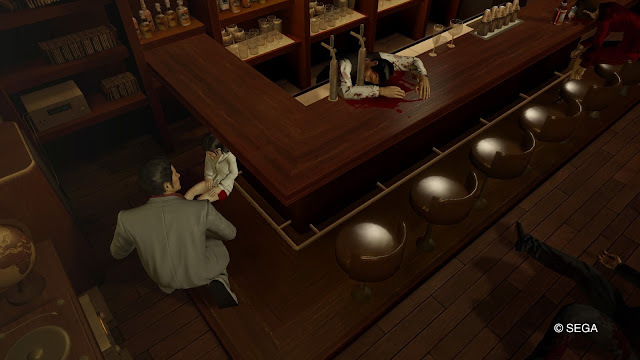 Having not played the original Yakuza myself, and as an incredible fan of the more recent games in the series, I was left wondering if, without the nostalgia, the original Yakuza's storytelling would feel in any way inferior to its more recent counterparts. As it turns out, Yakuza Kiwami feels every bit as current as Yakuza 0 from earlier this year, or Yakuza 5 on the PlayStation 3 before it. It’s a truly magnificent game, in other words. Yakuza Kiwami is, as mentioned above, a remake of the very first game in the series. Through it we were introduced to Kiryu for the first time, as he worked his way through the labyrinthine politics of the yakuza world. The narrative kicks off with Kiryu framing himself for a major crime (the honour of the yakuza and all that), spending time in prison, and then emerging to find himself immediately embroiled in one heck of a fallout involving any number of different Yakuza families. I won’t say more, as I’ve been sworn to secrecy regarding spoilers, but in the grand tradition of B-grade yakuza films, Kiwami weaves a story that is intricate, intense, and hugely exotic. These stories appeal to people for the same reason that Mafia films, or even James Bond films, do. 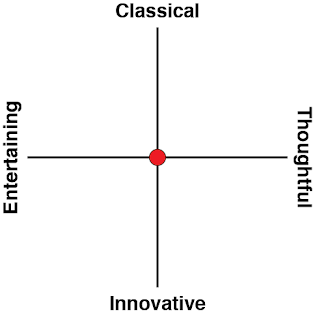 You’ve got a charismatic protagonist that somehow straddles the line between hero and anti-hero, pitted against antagonists that play the same game, but are far less likely to play by the rules, and there’s certainly no confusion over whether they are heroes or villains. No one's actually good in these stories, and that's part of the appeal. No one likes a righteous nobody. But that rivalry between shades of grey is just part of it. The main appeal in these stories is the way they manage to turn the the most mundane into a fantastic and exotic adventure. 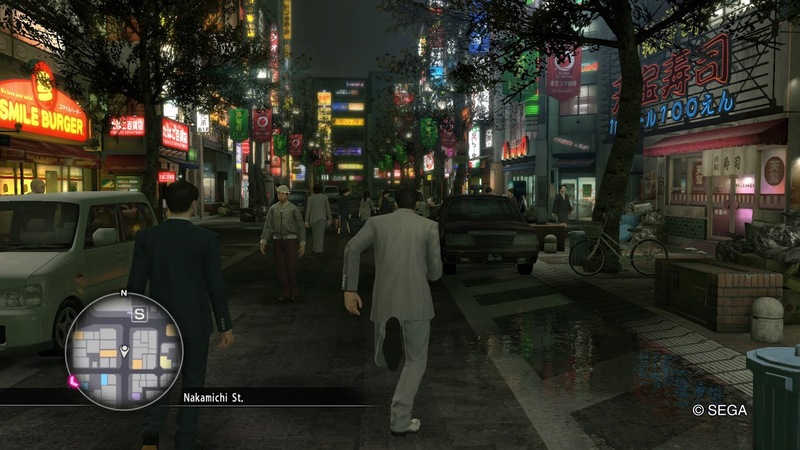 Yakuza is set in Kamurocho, a fictional city suburb which is modelled after Kabukicho, the infamous real-world red-light district of Tokyo where the really real yakuza hang out. But the utterly beautiful women, the glamorous bars, and the millions of other things you can do in Kabukicho are so far beyond what any of us can afford. So for most of us the real-world city isn’t this warm, glowing, hazy place of extra-sensory decadence and vice. The real world city is a fun night out. But in contrast, Kamurocho is a true adventure. I always say this when I start playing Yakuza, but in playing the game, I feel a strong yearning and homesickness for Tokyo. Not because it resembles the city in any real manner, but more powerfully than that, because it resembles the most idealised vision I could have of it; those short moments where I have experienced decadence in Tokyo, such as one night where I found myself sitting in leather chairs and drinking 21-year old whisky, sustained across every second of playtime. Yakuza Kiwami is that feverish vision, every bit as much as each game that has come since, and I love it for that. It’s nice to get some additional background information on the various key players as we work towards the release of Yakuza 6 next year. As I said, I’d never actually played this game before; Yakuza 4 was my first, and through I’ve done what I can to catch up on the broad narrative arcs (and played the origins story in Yakuza 0), it’s not the same as experiencing the narrative for myself. I came away from this game with a better sense of any number of major characters that have been persistent through the series; Kiryu himself, but also the maniac Goro Majima, who frequently steals the scene by popping up to test Kiryu in combat (even if he has a habit of doing it at the most irritating moments, distracting you from what you’re actually trying to do). Haruka, too, gets her introduction in the game as an adorable orphan child that Kiryu needs to protect. Not only does this give us a sense of the more humane side to the perpetually growling “hero,” but Haruka herself is a wonderful character, and she was my favourite by the time Yakuza 5 had rolled around (and not just because she gets to dress up as Hatsune Miku in that game). She obviously has the most growth to do, transitioning from child to adult, so her story, tangential to the overall series as it sometimes feels, is the most substantial. Anything that fills out her story more is most worthwhile. 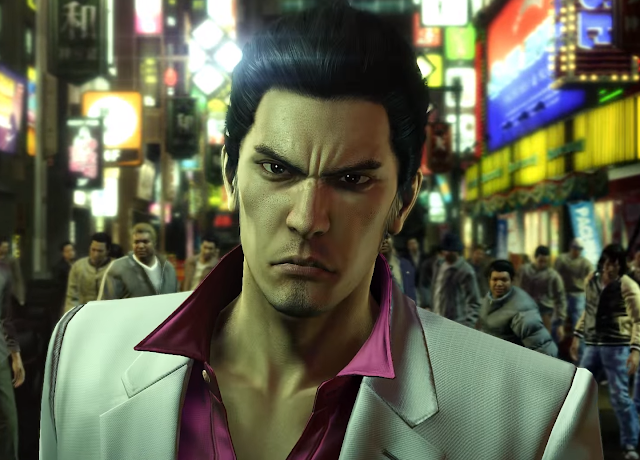 In addition to the visuals, which have been rebuilt from scratch so that Yakuza Kiwami looks less of a remaster and more a complete remake, SEGA has done a lot to add to game to bring it in line with recent games. Yakuza titles are best know for the variety of things that you can do in them; little side stories and activities that allow the game to embrace the weird and wonderful without compromising on the intensity of the main story. There’s been a lot that has been added to the original PlayStation 2 original which, in its original state, would now be seen as thin on content. There’s pocket car racing, bug battles, new hostesses to date, and so on, to add to the video games, baseball batting, bar activities and side stories that have always been a part of the game, and you’ll encounter just wandering around the place. Kamurocho is a genuine playground, and it’s quite easy to get distracted away from the main story (itself quite substantial) for many, many hours doing these side stories and activities. In fact, I highly recommend you do allow yourself to wander away from the narrative, as some of this non-essential stuff will have you in tears of laughter. I don’t know how combat worked in the original Yakuza on PlayStation 2, but it has been rebuilt for Kiwami to behave in the same fashion that it did with Yakuza 0. Kiryu has a number of different “stances” that he can adopt and switch between at will. Each of these stances has a particular effect, whether that’s trading in power to deliver lightning fast attacks, or hulk around like a lumbering monster in exchange for landing punches with terrifying power. For common enemies that you’ll bump into while moving around town (and, unfortunately, the rate of these random encounters is obscene), it doesn’t really matter which stance you use. For the bosses, however, you’ll need to experiment around in trying to find a strategy to defeat them. I’ve never found the combat of the Yakuza series to be my favourite part of any individual game, but it all works well enough here that it doesn’t distract me from the bits that I do like, so I’m not going to complain about it either. Really, I just like puttering around with wherever my mood takes me. Kamurocho is a very small open world when compared to the likes of Grand Theft Auto, but it’s what I consider to be the right approach to open worlds; there’s very little downtime in the game or wasted space in the desire to simply offer scale. A game like Assassin’s Creed has bigger cities to explore, but there is so little of substance to do in them. All you end up doing is chasing icons on a mini-map to look for treasure chests or bits of paper, or whatever Ubisoft has decided to make players collect. Yakuza’s world is condensed, and every activity in it has some kind of purpose that makes sense in the context of the world. Rather than collect chests or bits of paper, you’re playing games of Mahjong, or trying to string together home runs in the baseball hitting zone; activities that actually make sense within the world’s environment. Unlike GTA you don’t need to jump in a car and laboriously make your way over to the next activity. I can’t stand arbitrary downtime in open world games simply to give the impression of size, and Yakuza’s developers seem to have agreed with me over the years. 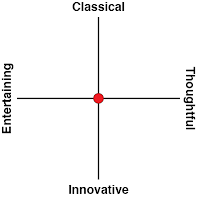 Related reading: Matt's review of Yakuza 5. 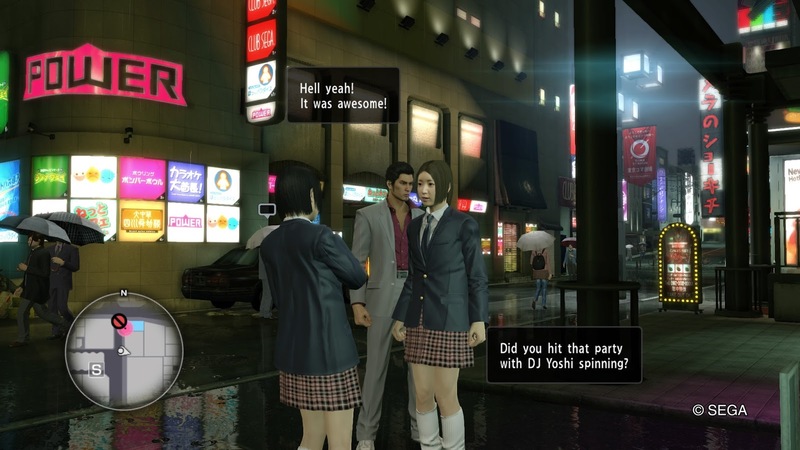 Yakuza has only started to become a big deal in the west over the last couple of releases; Yakuza 5 and 0 were major hits for SEGA, and in the leadup to Yakuza 6, it is understandable that the publisher would want to re-release the original game to help get the new legion of fans up to speed with the overarching narrative and characters that ties all the games together. It could have done this simply by releasing the original game on PlayStation 4 as a PS2 classic, and that would have been perfectly adequate. But SEGA’s done much more than that and given us all something completely modern and “new” to play, and the entire Yakuza series continues to go from strength to strength.